No wonder, Durjoy Datta has become the new teen heartthrob and all Durjoy Datta books are among the favorites of teen Indian readers. 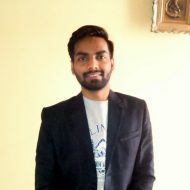 He started his writing career while he was still in his final year of engineering in 2008. Since then the list of books written by Durjoy Datta is becoming richer and richer. His books have performed continuously well on the bestselling lists as well as among the readers of India and abroad. Today, I am going to enlist all books by Durjoy Datta that have made him a leading bestselling English author in the country. Find out everything you need to know about all of his books; beginning from Durjoy’s first novel Of Course I Love You! to his latest novel The Girl of My Dreams. 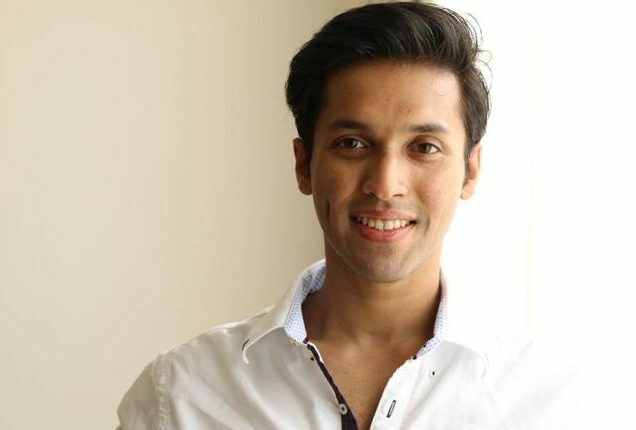 Here is the complete list of all books written by Durjoy Datta Including his latest novel published in 2018. 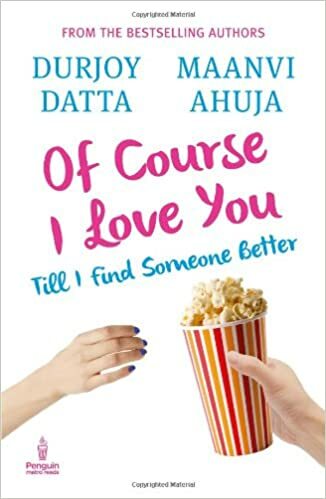 The first novel of the list of books written by Durjoy Datta is, Of Course, I Love You! Till I find Someone Else. The story is about Debashish – a typical boy – and Avantika who turns his life upside down. Of Course, I Love You! is a tale of today’s generation concept of love, breakups, turmoils and choosing one over another. Durjoy Datta wrote this book in collaboration with Maanvi Ahuja. 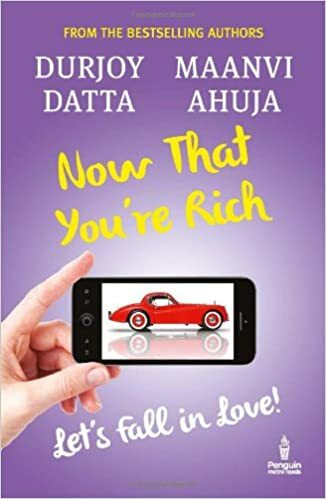 Durjoy Datta’s second novel was Now That You’re Rich, Let’s Fall in Love. It was also co-authored by Maanvi Ahuja. The story of this book revolves around four youngsters Abhi, Garima, Saurav and Shruthi, all having the common aim of becoming rich. As the story of Now That You’re Rich moves on, matters of love and work arise. In the time of recession, the once close four friends drift apart due to misunderstandings. The sequel to Of Course I Love You, this book is the third one on Durjoy Datta Books List. She Broke Up, I Didn’t continue the story of Deb who is now madly in love with Avantika. But their relationship is spoiled due to a mistake by Deb. Eventually, she accepts him back but Deb repeats it again. 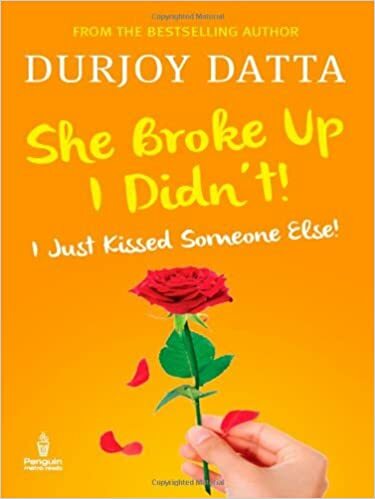 She Broke Up, I Didn’t by Durjoy Datta is a roller coaster of mistakes and misunderstandings that we see in relationships today. 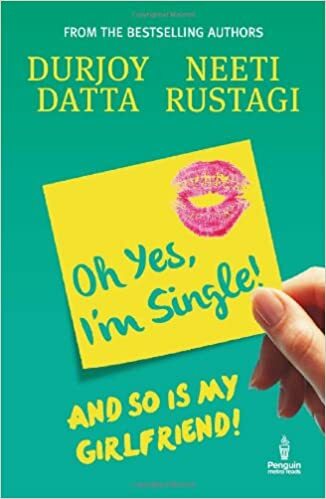 Durjoy’s fourth novel, Oh Yes, I’m Single was published in 2011 and Niti was a co-author of the book. The complete name of the novel is Oh Yes, I am Single, And So is My Girlfriend. The story is about a Casanova-like guy who goes through a series of relationships in his college but couldn’t find the one made for him. But when Natasha breaks his heart, he loses himself. Manika, his ex, comes back to him and takes care of him. It is another novel written by Durjoy Datta with a partner in crime Orvana Ghai. 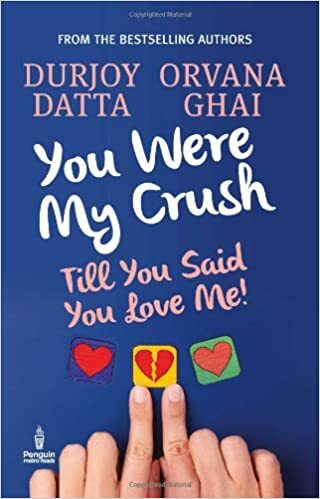 You Were My Crush comes fourth on the list of books by Durjoy and like all of his books, this one was also a bestseller. Published in 2011, the novel tells the story of Benoy’s transformation from a reckless lad to a responsible and sincere person. It happens as he meets Diya, the love of his life. The book, You Were My Crush leaves us enlightened with a lot of meaningful messages, about family, love and life. 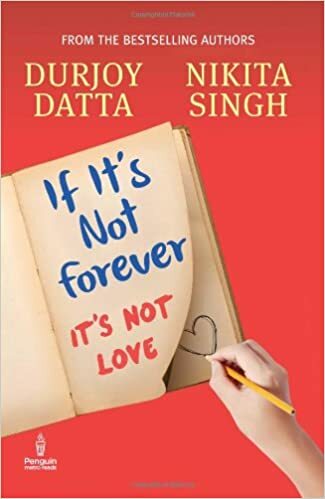 Set in the background of 2011 Delhi Blasts, If It’s Not Forever, It’s Not Love is another addition to the Durjoy Datta books list. It is written by Durjoy in collaboration with Nikita Singh. The protagonist of the story, Deb, escapes the bomb blasts somehow but he’s haunted by the scene daily. To end his agony, he visits the blasts site again and finds a diary of a person who died in the blast. Deb teams up with two of his friends and decides to return the diary to its rightful owner. If It’s Not Forever, It’s Not Love is an average book with good parts in between. 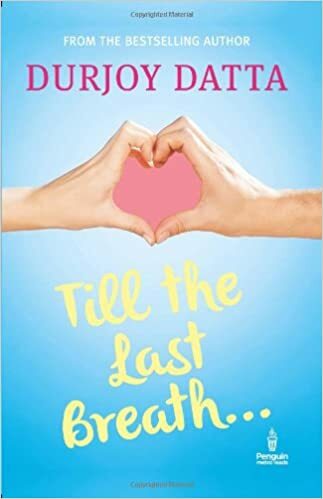 In 2012 itself, Durjoy released his 7th book – Till the Last Breath. This one is considered one of the best books written by Durjoy Datta. The story is about two patients in a hospital room racing towards their deaths. One is a 19-year-old girl who suffers from a fatal disease while other is a boy whose organs have stopped working due to drug abuse. Till the Last Breath is an emotional and heart-tearing story of the ultimate truth our lives – death. 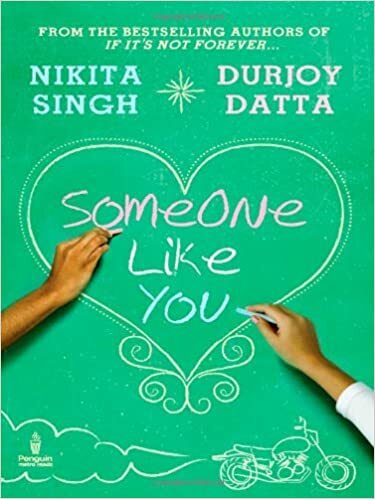 In another collaboration with Nikita Singh, Durjoy wrote Someone Like You in 2013. The book is a tale of five characters involving confusing love, friendship, mistakes and betrayal. The protagonist is Niharika who transforms herself from a girl next door into a confident and outgoing girl to set off a new journey. Someone Like You by Durjoy is a story very girl could relate with. 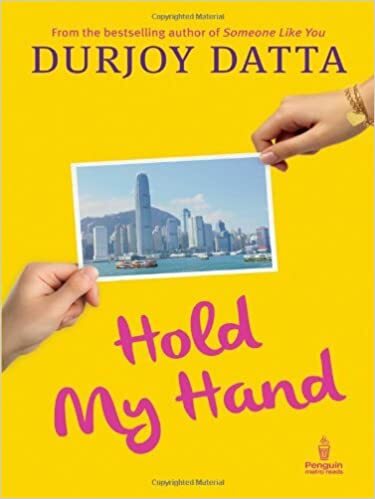 With a refreshing story, Hold My Hand became another bestselling book written by Durjoy Datta. This book revolves around the relationship of Deep, a handsome guy, and Ahana, a blind girl. The story reveals the true power of love and the sacrifices one has to endure for the one they love. Everything works fine until Ahana’s ex-boyfriend comes into the picture. Hold My Hand is all about dreams, love and hope. 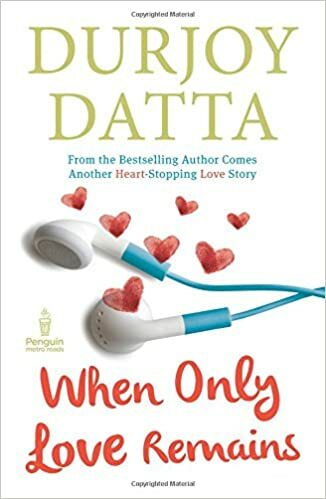 Published in 2014, When Only Love Remains is another hit on Durjoy Datta books list. The novel is about a rising music sensation -Devvrat – who happens to leave alone on the top of success. He resorts to drugs to fight depression. But things change when Avanti, a flight attendant and fan, steps into his life. When Only Love Remains is an easy to read and engaging novel. In 2015, World’s Best Boyfriend hit the bookshelves with a sour and sweet love story. The main characters are Ananya and Dhruv who go from good friends to fighting enemies and finally lovers forever. 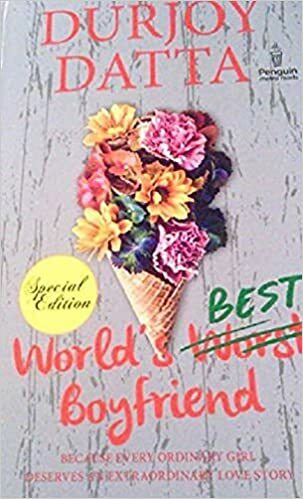 The story of World’s Best Boyfriend by Durjoy Datta is a mirror to today’s teenage relationships where couples fight, hurt each other and still remain in love. 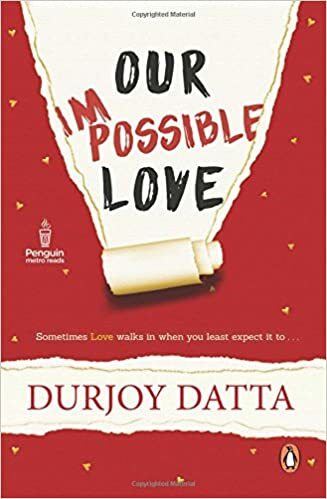 Having a visually appealing cover, Durjoy Datta’s twelfth book – Our Impossible Love – was published in 2016. The book stands out on the list of books written by Durjoy Datta with a different story and complexities of human nature. Our Impossible Love is about Aisha who comes from a close-knit family having an ailing mother, loving brother and father who works out of town. Aisha has a nightmare experience on her birthday date that changes her life while her brother turns out to be gay. It is the story of relationships that go beyond human understanding. 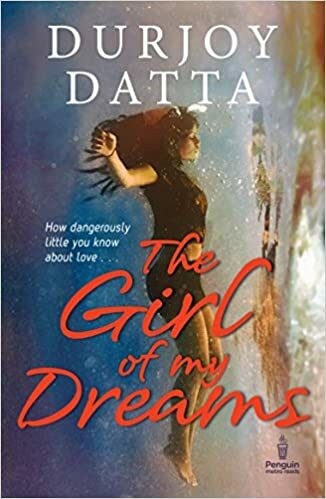 Another addition to Durjoy Datta books list is The Girl of My Dreams published in late 2016. Durjoy Datta’s novel The Girl of My Dreams is an unusual love story of Daman who had a memory lapse post a huge car crash. His love interest, Shreyasi, who was in the car with him disappears after the accident leaving him for dead. As this mysterious girl haunts Daman in dreams and in real life, The Girl of My Dreams tells a thrilling story of love and possession. 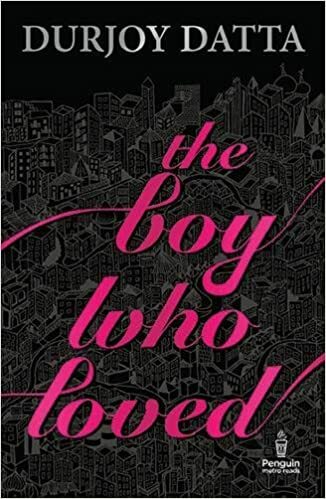 A recent novel that is added to the Durjoy Datta Books List is ‘The Boy Who Loved’. It is the first book from the two-part romance series. This latest novel from Durjoy Datta books lists about an introvert guy, Raghu and fascinating girl, Brahmi. This book makes a reader realize that among everything in life, no one can ‘plan to fall in love’. The Boy Who Loved was published on 25 May 2017. 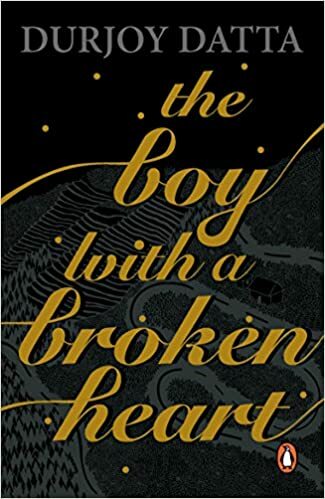 The Latest novel which is now a part of Durjoy Datta books list is The Boy with A Broken Heart. This book is the sequel to the previous one The Boy Who Loved and continues the story of Raghu after she lost Brahmi. Left with nothing, Raghu opts to be completely detached from the world but then Advaita arrives in his life. She is attracted to Raghu because of his elusiveness and that is what makes them close. The Boy with a Broken Heart is all about the fact that only love is the antidote to heartache. 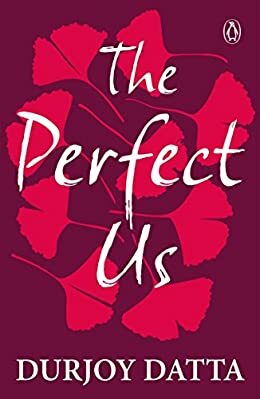 The latest novel by Durjoy Datta is about love and how we all end up making efforts to make it perfect. The story is about Deb, a corporate professional who has turned his paths towards a writing career and Avantika, an ambitious banker. They have been together for 10 years and still their struggle to be perfect for each other continues. Well, that was the closing of the list of books written by Durjoy Datta. But I believe, Durjoy is not going to stop anytime soon and will continue entertaining his readers in India and abroad. With brilliant storytelling and understanding of young readers, Durjoy Datta has made a mark in Indian Publishing Industry. So, towards the end, I can promise one thing, this Durjoy Datta books list is going to be updated regularly with the latest novels by Durjoy Datta.